The Factory Ministries | Don’t forget to register for the Day of Caring! The members of the Together Initiative Network invite you to the Together Initiative Network Day of Caring on April 28, from 8:00AM-1:00PM, at the Together Community Center , 3293 Lincoln Hwy E, Paradise, PA. Join us as the townships, churches, school district, businesses, and individuals work together to beautify our community with service projects like painting, yard work, and road clean up. Visit: tiny.cc/TINdayofcaring to register today! #whatwecandotogether #togetherinitiativenetwork Register Today! Don’t forget to register for the Day of Caring! The members of the Together Initiative Network invite you to the Together Initiative Network Day of Caring on April 28, from 8:00AM-1:00PM, at the Together Community Center , 3293 Lincoln Hwy E, Paradise, PA. Join us as the townships, churches, school district, businesses, and individuals work together to beautify our community with service projects like painting, yard work, and road clean up. Visit: tiny.cc/TINdayofcaring to register today! #whatwecandotogether #togetherinitiativenetwork Register Today! Home > Don’t forget to register for the Day of Caring! 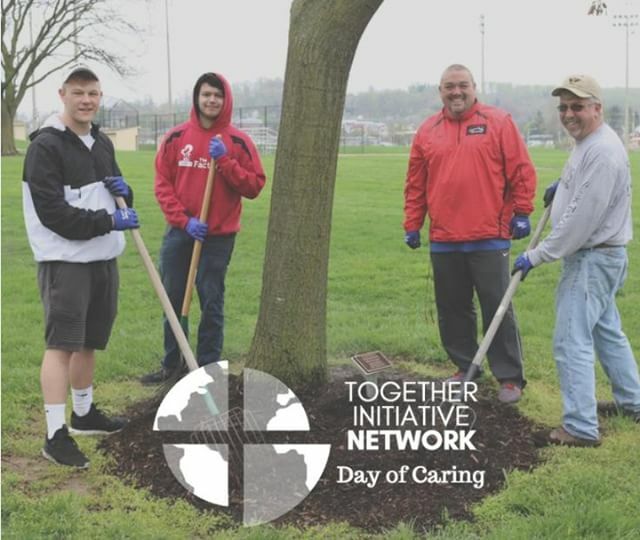 The members of the Together Initiative Network invite you to the Together Initiative Network Day of Caring on April 28, from 8:00AM-1:00PM, at the Together Community Center , 3293 Lincoln Hwy E, Paradise, PA. Join us as the townships, churches, school district, businesses, and individuals work together to beautify our community with service projects like painting, yard work, and road clean up. Visit: tiny.cc/TINdayofcaring to register today! #whatwecandotogether #togetherinitiativenetwork Register Today!